By Ronald Nash. This world is a battlefield in the arena of ideas. The prize is the heart and mind of humankind. In this book, Ronald Nash (Faith and Reason) outlines the Christian way of looking at God, self, and the world. 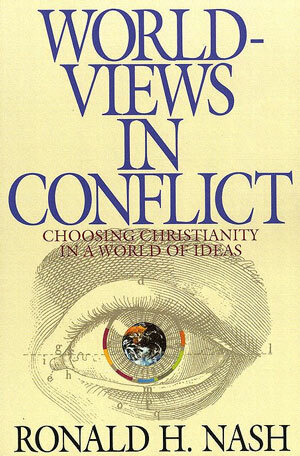 He holds that worldview up against the tests of reason, logic, and experience, particularly discussing the problems of evil and the alleged "nonsense" of the historic Christian doctrines and of Jesus' incarnation and resurrection. He finds the Christian worldview sound and urges Christians to equip themselves intellectually to defend the faith on that battlefield. He particularly hits the attractions to our generation of Naturalism and the New Age movement, pointing out their weaknesses and pitfalls as well as those of older worldviews.